The smoking process causes scratches to the plate which is a purposeful part of the finished look. Please check the close-up images of these imperfections to make sure you’re OK with them. 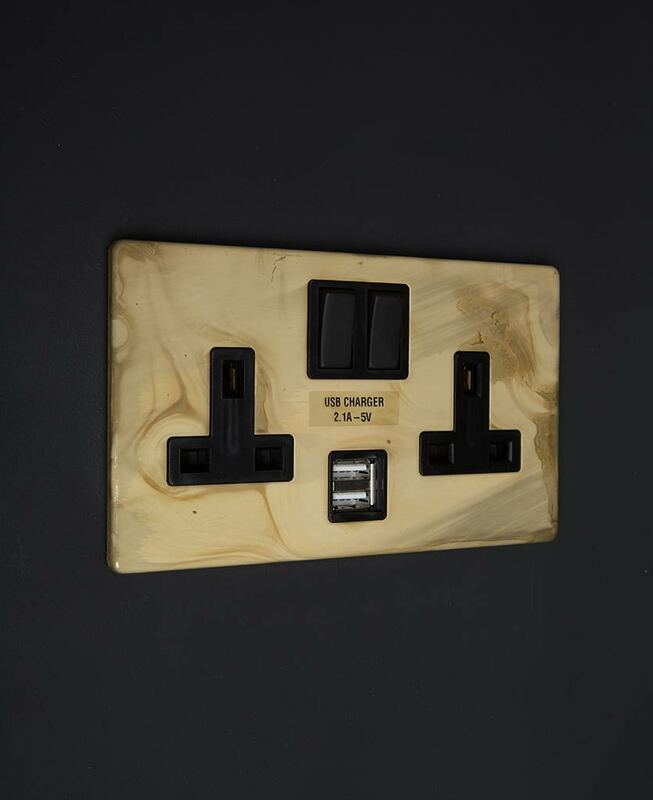 Our stunning smoked gold double socket USB* will work perfectly in any industrial-inspired interior. The stunning finish has an almost raw, weathered look that curiously reminds us of fire damage. But the effect is amazing. *The software on some Apple devices may prevent charging via the USB port. 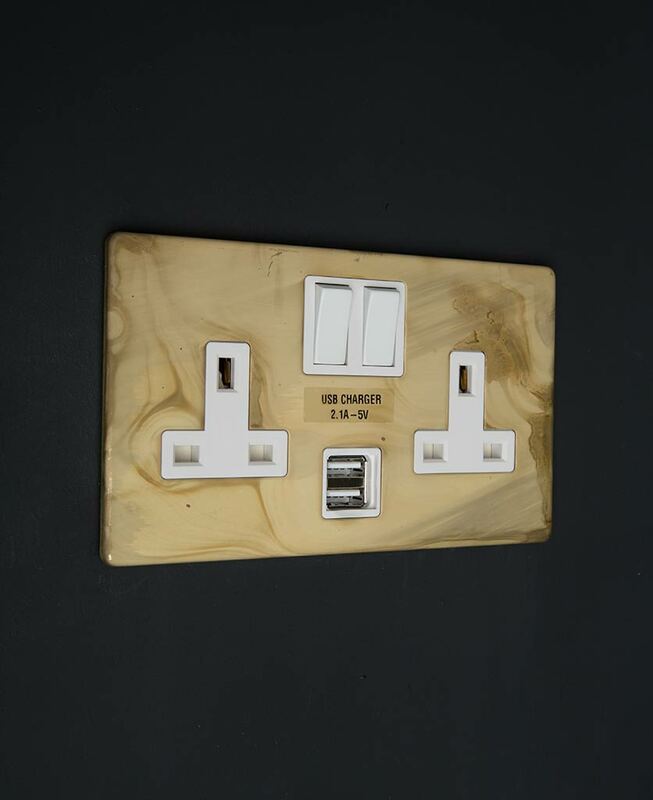 A solid brass double-socket beautifully finished in a matt gold and charcoal whirling pattern. 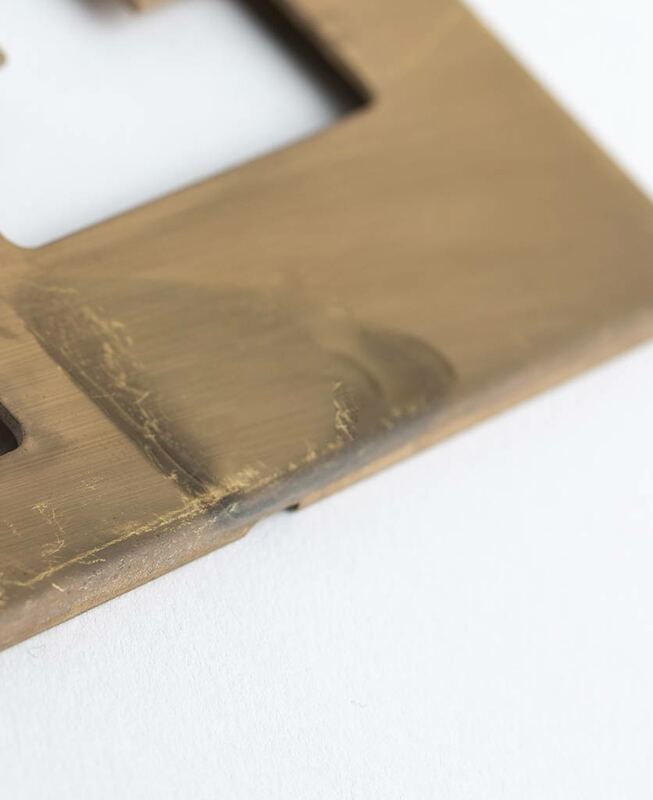 These colours eddy together across the brass plate to create stunning detailing you likely won’t find any anywhere else. Perfect for the interior connoisseur who loves to be different. Did we mention these are unique to us – we designed them ourselves so you won’t find them in any high street stores. More exclusivity. We rest our case. If you’re convinced, check out the rest of our smoked gold range of matching lighting accessories. 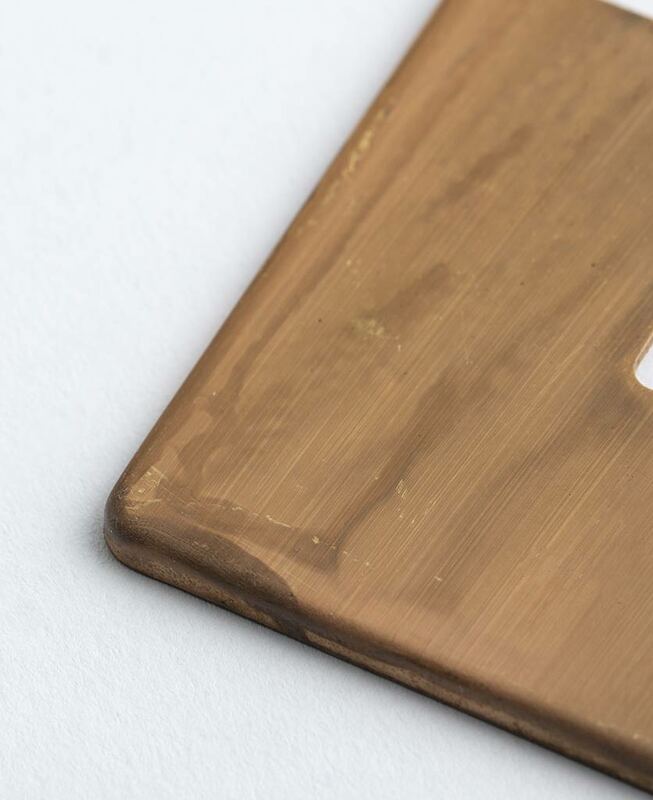 The brass finish is made to age and change with wear making each one unique.